“I now walk into the wild” are the last words that Chris McCandless sent his friend Wayne Westerberg before trekking into the Alaskan wilderness. It’s hard not to be touched in some way by McCandless’s story. Yes he was impetuous, naive, and heedless of the dangers he was facing, but he was also an idealist searching for some kind of meaning in life. Like many people before him, John Muir most notably, he was searching for an answer in nature. Being young myself, I can identify a lot with McCandless. Death seems so remote you don’t even consider it. There’s no way anything bad could ever happen to you. You’re young and have everything ahead of you. I’m sure in some ways this was McCandless’s thought pattern as well. He was so convinced of his own intellect and knew that he could make it. He had never failed at anything he had tried before and had always been praised for his intelligence and unwavering beliefs. He was a self made outcast. He shed society’s layers as best as he could only to realize that “happiness is best when shared.” I’m a firm believer that it’s the people around us that help us lead a full and satisfying life. It’s people that push us to grow and change in ways that we might not left to our own devices. One of my favorite aspects of this novel was how thoroughly Krakauer looked into the history of travelers like McCandless. I couldn’t believe that so many people have walked into the wild never to walk out again. There are tales of teens disappearing in the desert, a climber vanishing in the mountains of Alaska, and British soldiers from the 1800’s dying in the arctic. I think in some way everyone is interested in what’s out there. That’s why we travel to other places to discover new things, people, and cultures. Most of us just travel from city to city instead of into the wilds. But we’re all bitten by some kind of wanderlust, an interest in things outside of ourselves. There are many decisions that McCandless made heedlessly, as many before him had done. Yet, he was not one of the lucky ones. He didn’t survive his trek into the wild. The odds were stacked against him. Yet he made an impact on the world through what he left behind. After reading Krakauer’s novel I feel like I got to personally know McCandless and see a bit into his heart. Rating: 5/5 Such a compelling, albeit tragic, story. Next up in Book Battle 2015 is a novel based on a true story. I was so overwhelmed with all of the available options for this category. I could not make up my mind. It seemed like every day I found another novel that would fit this category and sounded intriguing. I went back and forth, rearranging my list, trying to figure out where to plug in a specific novel and what to take out. I finally decided on Jon Krakauer’s Into the Wild. I’ve heard really great things about this novel and Krakauer’s writing. And, best of all, the library had many copies of this book. From the book jacket, and what I’ve heard, this is a novel about a young man’s search for meaning in his life. He leaves everything he has and has ever known behind and begins his journey. He travels all over the United States and eventually ends up in Denali National Park, where his body is found by fellow travelers. I can’t wait to read this novel and see what the hype is about. Everyone I’ve mentioned it to has amazing things to say about this novel and Krakauer’s other novels. 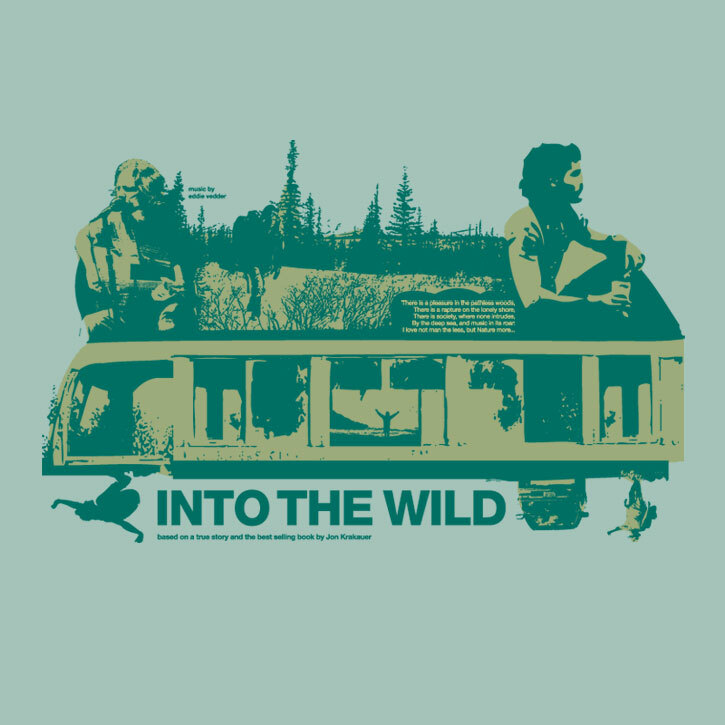 Stay tuned for the full review of Into the Wild. Happy reading!